Air Hogs Smash Bots – Remote Control Battling Robots Was $50 Now Only $25! You are here: Home / Great Deals / Amazon Deals / Air Hogs Smash Bots – Remote Control Battling Robots Was $50 Now Only $25! 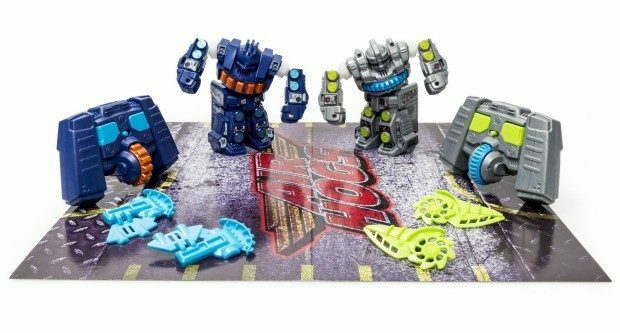 Head over to Amazon and order the Air Hogs Smash Bots – Remote Control Battling Robots Was $50 Now Only $25! Shipping is FREE with Prime or on overs of $35+. Don’t have Prime? Try a 30 day FREE trial! Air Hogs is the leading R/C brand delivering non-stop action! Move and spin your Smash Bot to deliver powerful punches and defeat your opponent. Crank up the power with turbo mode to deliver even harder hits! Arm each Smash Bot with their specialized battle weapon! They’re built tough to take hit after punishing hit! Air Hogs Smash Bots are for ages 8+. 10 AA batteries required for operation.